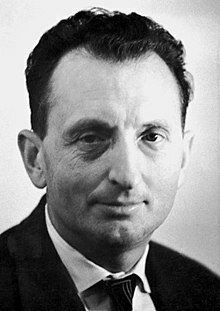 Fisicí Sóivéadach a rugadh in Atherton na hAstráile ab ea Alexandr Mikhailovich Prokhorov (11 Iúil 1916 – 8 Eanáir 2002). Bhuaigh sé Duais Nobel na Fisice sa bhliain 1964 lena chomhghleacaí Nikolai Basov agus Charles Townes as a shaothar bunúsach ar leictreonaic chandamach, a raibh aimplitheoirí is ascaltóirí, bunaithe ar phrionsabal an mhéasair is an léasair, mar thoradh air. Ceapadh é freisin mar phríomheagarthóir ar Mhórchiclipéid an Aontais Shóivéadaigh. Tugadh an leathanach seo cothrom le dáta an 20 Lúnasa 2018 ag 21:39.